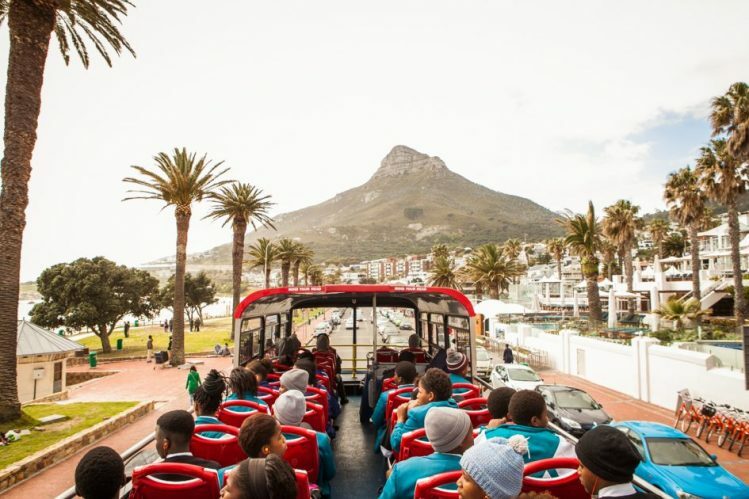 The Cape Town Big 6 was launched last week, after the Cape Town Big 7 announced that they are reverting back to the original partnership consisting of six major tourist attractions. These attractions are Cape Point, Groot Constantia, Kirstenbosch National Botanical Garden, Robben Island Museum, Table Mountain Cableway and the V&A Waterfront­. The City Walk, which made up the seventh attraction, was dissolved after the Cape Town Partnership’s funding was not renewed­. The Cape Town Partnership launched the Cape Town City Walk at the first of what was to be a monthly event – City Walk Saturdays – on Saturday 18 April 2015 (“Walk and talk the CBD”, People’s Post, 30 April 2015). The City Walk was then added to Cape Town’s “bucket list” of key tourist attractions and included in the Cape Town Big 7. The City Walk route aimed to connect significant places in the city, starting in the Company’s Garden, continuing down St George’s Mall to Waterkant Street and progressing up the Fan Walk to St Andrew’s Square. However, the partnership is undaunted by the change, explained Wahida Parker, managing director at Table Mountain Cableway, at the launch. “We are extremely excited about the Cape Town Big 6 upcoming summer. There is renewed vigour in our tourism sector thanks to the wonderful rains we have had. Cape Town has reaffirmed itself as the destination of choice for the upcoming holiday season,” she said. Cape Point is offering half-price specials to South Africans from Thursday 1 November. Locals will only pay R76 entry instead of R147 upon showing their SA ID. The Table Mountain Cableway will be running their annual half-price Sunset Special. Groot Constantia is offering visitors a special deal, including a chocolate and wine pairing experience with the Visitor’s Route Experience for only R155 per person. The V&A Waterfront will play host to a number of events, including a Buskers Festival, Silo Concert Series and the Galileo Open Air Cinema.